Our friendly Home2 Suites Victorville is located right off I-15 offering you an excellent base when travelling in the High Desert of California or if you*re here on business. With city center in close proximity the hotel is ideally located for eating shopping and entertainment. We also offer easy access to the nearby George Air Force base Fort Irwin and surrounding businesses. Stop by the Front Desk for some useful tips on things to do in the local area. 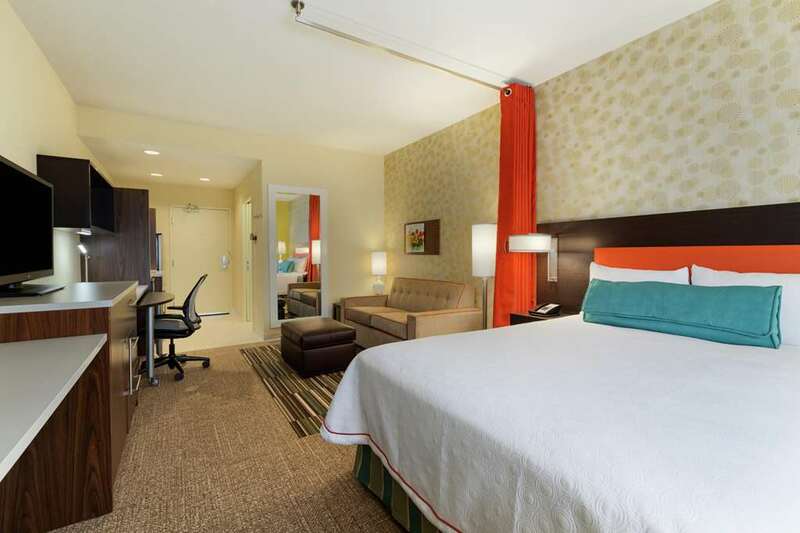 Each room is a suite at our Victorville CA hotel offering spacious studio and one-bedroom suites. The Working Wall - that*s the full kitchen work area and storage - features movable furniture. Sit back on the pull out sofa and watch the 47-inch HDTV. Work at the desk with ergonomic chair and free WiFi. Remember to pack the leash as Home2 is your pet*s home too. Begin your morning right with our free Inspired Table breakfast served daily. If you*re in a hurry pick up a snack from the Home2 MKT convenience store also selling travel essentials. Make use of the combined Spin2Cycle facility where you can run a load of washing and keep fit at the same time. After working out plunge into the indoor heated pool. Home2 Suites Victorville also features a business center handy if you need to make some last minute updates to your presentation. Don't miss the view of Borax's huge open-pit mining operation, the museum about the many uses of borax, and get a free souvenir piece of ore!